* Senior club appearances and goals counted for the domestic league only and correct as of 07:38, 27 November 2016 (UTC). Philip Nikodem "Phil" Jagielka (born 17 August 1982) is an English professional footballer who plays as a centre-back for Premier League club Everton and the England national team. Jagielka started his career with Sheffield United in 2000, where he played mainly as a central midfielder. He helped them achieve top-flight status for the 2006–07 season, after which he joined Everton for a £4 million fee. He has received 40 England caps since his debut in 2008 and was included in the England squads at UEFA Euro 2012 and the 2014 FIFA World Cup. Jagielka was born in Manchester, Greater Manchester and attended Knutsford Academy. He played for Holy Family Football Club, a Sunday team affiliated with, although not directly linked to, the school of the same name, from the ages of eight to eleven. He played as a right winger, as he possessed great pace, and even played in games against boys of the school year older than he. However, he first impressed youth scouts whilst playing for his local team Hale Barns United in Altrincham. He predominantly played midfield during his time with the club. He also played for his school team, Moorlands Junior School, playing any position including in goal and with boys 2 school years above him. He was at the academy of Everton as a youngster and spent time training with clubs such as Stoke City, and Manchester City, before joining Sheffield United in 1998 at 15 years of age. Jagielka made his way through the youth ranks at Sheffield United before making his first team debut on 5 May 2000 against Swindon Town in the final First Division match of the 1999–2000 season, whilst still a trainee. He was rewarded with a professional contract the following day and having progressed well at the start of the following season, he signed a three-year deal with the club in January 2001. He established himself in the Sheffield United first-team in the 2002–03 season and started to attract the attention of other clubs, including Leeds United, who were linked with a £6 million joint bid for Jagielka and United teammate Michael Brown, but Sheffield United said they would resist any attempts to sign the players. Jagielka stated in April 2005 he was happy to stay at United, despite several Premier League clubs being interested in signing him. United manager Neil Warnock told West Ham United in June 2005 that Jagielka would not be sold, and in July Wigan Athletic made a £4 million bid for Jagielka, after which United upped their valuation of him. By November, Jagielka had been linked with a £4 million move to Bolton Wanderers, but United manager Neil Warnock said there had been no contact from Bolton. Jagielka signed a new three-year deal with United in August 2006. He played as team captain in Chris Morgan's absence. Jagielka gave United their first Premiership victory since April 1994 when he hit a 91st minute half-volley against Middlesbrough for a 2–1 win in September 2006. Despite being recognised as one of United's key players, chairman Kevin McCabe admitted that Jagielka could be sold if the price was high enough. In a home match against Arsenal on 30 December 2006, due to a thigh injury to starting goalkeeper Paddy Kenny and with his side 1–0 up, Jagielka was forced to play in goal for the remainder of the match. Arsenal were kept at bay for the remaining thirty-four minutes and Jagielka's late save from Robin van Persie secured the 1–0 victory. His ability to deputise in goal meant that Neil Warnock was able to – and usually did – do without a substitute goalkeeper on the bench in order to give himself more tactical options (League rules then limited the number of substitutes to 5). By the end of the 2006–07 season, he had made 133 consecutive league appearances for United, including every league match in the 2004–05 and 2005–06 seasons and every minute of the 2006–07 season. When Sheffield United were relegated from the Premier League at the end of the 2006–07 season, Jagielka was linked with moves away from United and goalkeeper Paddy Kenny said he believed it was time Jagielka moved on. New United boss Bryan Robson urged Jagielka to wait for the outcome of the club's relegation arbitration hearing before deciding to leave the club. Jagielka eventually signed for Everton on 4 July 2007, in a deal worth £4 million on a five-year contract, the highest amount ever paid for a Sheffield United player. He made his home debut at Goodison Park on 31 July 2007 as a second-half substitute in a pre-season friendly against Werder Bremen, replacing Joseph Yobo in central defence. After a slow start to his Everton career, Jagielka developed into an important member of the first team. He scored his first Everton goal in the UEFA Cup against AZ Alkmaar. He scored an own goal against Wigan Athletic, although Everton won 2–1. He put in a succession of man of the match performances in the following games, against Tottenham Hotspur, Brann and Manchester City. He scored his first league goal for Everton against Reading on 9 February 2008. Jagielka started the 2008–09 season as first-choice centre-back, playing every minute of every league game until being injured in a 2–1 home defeat to Manchester City. He won Player of the Month for February and won Everton's fans and club player of the season. Jagielka scored the winning penalty for Everton in a penalty shoot-out in the semi-final of the FA Cup against Manchester United, but he was claimed to have fouled Danny Welbeck after 68 minutes, with many claiming it to be a penalty, which the referee did not award. Soon afterwards he ruptured his anterior cruciate ligament playing against Manchester City, and as a consequence missed the 2009 FA Cup Final, which Everton lost to Chelsea. 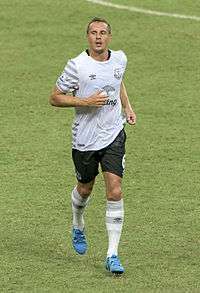 After missing the end of the 2008–09 season and more than half of 2009–10, Jagielka played his first senior fixture since the cruciate ligament injury in an away game against Sporting CP in the UEFA Europa League in February 2010, coming on as a substitute for an injured Philippe Senderos. On 3 January 2013, Jagielka signed a new contract at Everton, keeping him at Goodison Park until 2017. In April 2013, manager David Moyes announced that Jagielka would be appointed as the club captain for the 2013–14 season after the retirement of Phil Neville. When Moyes left for Manchester United, new manager Roberto Martínez stated that Jagielka would make a "phenomenal captain". In Jagielka's first season as captain Everton amassed a Premier League club record 72 points to finish fifth with him being awarded three accolades at the club: Player of the Season, Players' Player of the Season and Goal of the Season. On 27 September 2014, Jagielka scored his first goal in two seasons with a 30-yard half volley against Liverpool in the Merseyside Derby to level the game in the 91st minute. On 6 November 2014, Jagielka scored his first European goal in seven years in Everton's 3–0 UEFA Europa League group stage win against Lille. Jagielka is a former member of the England under-21 team, and scored in a 2–0 victory over Slovakia at the Stadium of Light in June 2003. On 10 May 2007, Jagielka was named in the England B team for the first time, for their match against Albania. Starting on the bench, he replaced Phil Neville at right back at the beginning of the second half. 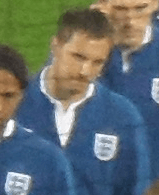 On 11 May 2008, Jagielka was named in the senior England squad for the first time for the friendlies with United States and Trinidad and Tobago. He subsequently expressed his delight at the call up and publicly thanked everyone at Everton for their help. On 1 June 2008, Jagielka got his first international cap for the senior team against Trinidad and Tobago, playing the second half of a match in which England used two different sides for each half. Jagielka was once again named in the England squad for the friendly match against European champions Spain, 11 February 2009, and subsequently played for the first 45 minutes, after an impressive string of performances at club level publicly praised by manager David Moyes after the FA Cup fourth round replay tie between Everton and Liverpool. Jagielka received his fourth cap when he played in England's first post 2010 FIFA World Cup friendly against Hungary on 11 August 2010 at Wembley Stadium where he scored an own goal to put the visitors ahead in a 2–1 England win. On 3 September 2010, Jagielka made his first competitive start, and played for the entirety of the match in a 4–0 win over Bulgaria. He was said to have "read the game brilliantly on a night when he proved his credentials". He was called up to the England squad once again for the Euro 2012 qualifier against Montenegro at Wembley Stadium on 12 October. He was called up again for the UEFA Euro 2012 qualifier and friendly against Wales and Ghana on 26 March and came on in the 88th minute for Scott Parker. On 12 November, he started as centre-half in a friendly against Spain and gave an exceptional performance as England ground their way to a 1–0 win. Jagielka was originally placed on the standby list for England's UEFA Euro 2012 squad, and played the full match in a pre-tournament warm-up game against Norway, which England won 1–0. However, on 28 May 2012, Jagielka was added to the main squad after Gareth Barry was ruled out of the tournament with an abdominal injury. Jagielka did not feature in any of England's four matches during the tournament. In August 2012, Jagielka scored his first goal for England, a diving header during a 2–1 friendly victory over Italy in Bern, Switzerland. On 12 May 2014, Jagielka was named in England's squad for the 2014 FIFA World Cup. He scored his second England goal on 30 May 2014 to wrap up a 3–0 friendly win over Peru at Wembley, reacting after goalkeeper Raúl Fernández dropped a corner from Jagielka's Everton teammate Leighton Baines. England were unbeaten in 11 competitive matches in which Jagielka has played in (won eight and drawn three), until they lost 2–1 to Italy in their opening game of the World Cup. Jagielka scored his third England goal, and first in a competitive fixture, on 9 October 2014; his header opened a 5–0 Wembley win over San Marino in UEFA Euro 2016 qualifying. Jagielka became the first Everton player to captain England when they played against Lithuania on 12 October 2015 in an UEFA Euro qualifying game. On 15 November 2016, he became the most capped Everton player by England when he came on as a second-half substitute against Spain in a 2–2 draw. Jagielka is of Polish and Scottish descent. His older brother Stephen Jagielka was also a professional midfielder, mainly for Shrewsbury Town. Although he was loaned to Sheffield United for one season, the pair never featured together in a competitive fixture. He also has two sisters, Barbara and Nicola. As of match played 11 November 2016. England score listed first, score column indicates score after each Jagielka goal. 1 2 3 Hugman, Barry J., ed. (2010). The PFA Footballers' Who's Who 2010–11. Edinburgh: Mainstream Publishing. p. 216. ISBN 978-1-84596-601-0. ↑ "Phil Jagielka". Premier League.com. Premier League.com. Retrieved 18 September 2016. ↑ Lawton, Matt (1 February 2009). "From time keeper England centre half rise rise PhilJagielka". Daily Mail. London. Retrieved 2009-03-20. ↑ Shail, Mark (17 November 2005). "Jagielka has got his sights set on the Premiership". givemefootball.com. Retrieved 1 May 2011. ↑ "Warnock hails teenage ace". BBC Sport. 9 January 2001. Retrieved 2007-08-21. ↑ "Blades deny Leeds approach". BBC Sport. 15 August 2003. Retrieved 2007-08-21. ↑ "Jagielka wants to stay at Blades". BBC Sport. 11 April 2005. Retrieved 2007-08-21. ↑ "Blades warn Hammers off Jagielka". BBC Sport. 21 June 2005. Retrieved 2007-08-21. ↑ "Jewell unhappy over Jagielka bid". BBC Sport. 29 July 2005. Retrieved 2007-08-21. ↑ Fudge, Simon. "Blades deny fresh Jags links". Sky Sports. Retrieved 9 January 2016. ↑ "Jagielka commits future to Blades". BBC Sport. 19 August 2006. Retrieved 2007-08-22. ↑ Brown, Sophie (30 September 2006). "Sheff Utd 2–1 Middlesbrough". BBC Sport. Retrieved 2007-08-07. ↑ "Blades may sell Jagielka". Football.co.uk. 8 December 2006. Retrieved 2007-08-22. ↑ "Sheff Utd 1–0 Arsenal". BBC Sport. 30 December 2006. Retrieved 2007-08-07. ↑ "The lowdown - Everton v Wigan". Everton F.C. 10 August 2007. Archived from the original on 30 September 2012. Retrieved 22 August 2007. ↑ Taylor, Louise (12 May 2007). "England the next step for Jagielka". The Guardian. London. Retrieved 2007-08-21. ↑ "Kenny feels Jagielka should leave". BBC Sport. 31 May 2007. Retrieved 2007-08-22. ↑ "Blades call to Jagielka". Football.co.uk. 12 June 2007. Retrieved 2007-08-22. ↑ "Everton secure deal for Jagielka". BBC Sport. 4 July 2007. Retrieved 2007-07-04. ↑ Prentice, David (12 July 2008). "Jagielka factfile". Liverpool Echo. Retrieved 24 April 2016. ↑ Cheese, Caroline (20 December 2007). "AZ Alkmaar 2–3 Everton". BBC Sport. Retrieved 27 February 2010. ↑ Hughes, Ian (9 February 2008). "Everton 1–0 Reading". BBC Sport. Retrieved 27 February 2010. ↑ "Premier League Player of the Month Awards". myfootballfacts.com. Retrieved 27 October 2015. ↑ "Awards Winners". Everton F.C. Retrieved 27 October 2015. ↑ "Man Utd 0–0 Everton (aet)". BBC Sport. 19 January 2009. Retrieved 2009-04-20. ↑ "England defender Phil Jagielka signs new long-term Everton contract". The Guardian. London. 2013-01-03. Retrieved 2013-01-03. ↑ "Phil Jagielka to succeed departing Phil Neville as Everton captain". Sky Sports. Retrieved 27 October 2015. ↑ "Martinez: Jagielka suits role". Football365.com. Retrieved 29 June 2013. ↑ "Phil Jagielka: Everton will be even stronger next season under Roberto Martinez". North Wales Daily Post. Retrieved 26 May 2014. ↑ "Phil Jagielka". Everton F.C. Retrieved 27 October 2015. ↑ "Jagielka stunner steals a point after pulsating derby". ESPN. 2014-09-27. Retrieved 2014-09-27. ↑ Hunter, Andy (6 November 2014). "Leon Osman marks new deal with a goal as Everton cruise to win over Lille". The Guardian. London. Retrieved 6 November 2014. ↑ "England U21s keep hopes alive". BBC Sport. 10 June 2003. Retrieved 9 January 2016. ↑ "Hart & Jagielka in England squad". BBC Sport. 2008-05-11. Retrieved 2014-05-12. ↑ "Jags' England Delight". Everton F.C. 2008-05-13. Retrieved 2014-05-12. ↑ "Trinidad & Tobago 0-3 England". BBC Sport. 1 June 2008. Retrieved 9 October 2014. ↑ Bailey, Richard (5 February 2009). "David Moyes has praised Phil Jagielka after his performance in the FA Cup win over Liverpool". Sky Sports. ↑ "Gerrard brace saves England from embarrassment". ESPN Soccernet. Retrieved 9 January 2016. ↑ "Daily Mirror player ratings: England 4–0 Bulgaria". Daily Mirror. London. 3 September 2010. Retrieved 2010-09-06. ↑ "Norway 0–1 England". BBC Sport. Retrieved 30 May 2012. ↑ "Euro 2012: England confirm squad numbers". BBC Sport. Retrieved 30 May 2012. 1 2 Magowan, Alistair (15 August 2012). "England 2–1 Italy". BBC Sport. Retrieved 24 April 2016. 1 2 McNulty, Phil (30 May 2014). "England 3–0 Peru". BBC Sport. Retrieved 24 April 2016. ↑ "Phil Jagielka – England World Cup profile". Daily Mail. London. Retrieved 26 May 2014. ↑ "England 1–2 Italy". BBC Sport. Retrieved 15 June 2014. 1 2 McNulty, Phil (9 October 2014). 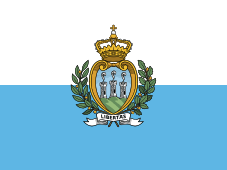 "England 5–0 San Marino". BBC Sport. Retrieved 24 April 2016. ↑ Beesley, Chris (16 November 2016). "Everton captain Jagielka breaks Alan Ball's record". Liverpool Echo. Retrieved 17 November 2016. ↑ Louise Taylor (12 May 2007). "England the next step for Jagielka". The Guardian. London. Retrieved 2009-02-08. ↑ Phil Thomas (7 October 2010). "Phil: Spain pain made me a man". The Sun. London. Retrieved 2010-10-08. ↑ McKenzie, Andrew (24 December 2005). "Seasonal joy for Jagielkas". BBC Sport. Retrieved 9 October 2014. ↑ "Games played by Phil Jagielka in 1999/2000". Soccerbase. Centurycomm. Retrieved 24 April 2016. ↑ "Games played by Phil Jagielka in 2000/2001". Soccerbase. Centurycomm. Retrieved 24 April 2016. ↑ "Games played by Phil Jagielka in 2001/2002". Soccerbase. Centurycomm. Retrieved 24 April 2016. ↑ "Games played by Phil Jagielka in 2002/2003". Soccerbase. Centurycomm. Retrieved 24 April 2016. ↑ "Games played by Phil Jagielka in 2003/2004". Soccerbase. Centurycomm. Retrieved 24 April 2016. ↑ "Games played by Phil Jagielka in 2004/2005". Soccerbase. Centurycomm. Retrieved 24 April 2016. ↑ "Games played by Phil Jagielka in 2005/2006". Soccerbase. Centurycomm. Retrieved 24 April 2016. ↑ "Games played by Phil Jagielka in 2006/2007". Soccerbase. Centurycomm. Retrieved 24 April 2016. ↑ "Games played by Phil Jagielka in 2007/2008". Soccerbase. Centurycomm. Retrieved 24 April 2016. Stevenson, Jonathan (4 October 2007). "FC Metalist 2–3 Everton (agg 3–4)". BBC Sport. Retrieved 24 April 2016. ↑ "Games played by Phil Jagielka in 2008/2009". Soccerbase. Centurycomm. Retrieved 24 April 2016. ↑ "Games played by Phil Jagielka in 2009/2010". Soccerbase. Centurycomm. Retrieved 24 April 2016. ↑ "Games played by Phil Jagielka in 2010/2011". Soccerbase. Centurycomm. Retrieved 24 April 2016. ↑ "Games played by Phil Jagielka in 2011/2012". Soccerbase. Centurycomm. Retrieved 24 April 2016. ↑ "Games played by Phil Jagielka in 2012/2013". Soccerbase. Centurycomm. Retrieved 24 April 2016. ↑ "Games played by Phil Jagielka in 2013/2014". Soccerbase. Centurycomm. Retrieved 24 April 2016. ↑ "Games played by Phil Jagielka in 2014/2015". Soccerbase. Centurycomm. Retrieved 24 April 2016. ↑ "Games played by Phil Jagielka in 2015/2016". Soccerbase. Centurycomm. Retrieved 2 June 2016. ↑ "Games played by Phil Jagielka in 2016/2017". Soccerbase. Centurycomm. Retrieved 19 September 2016. 1 2 "Jagielka, Phil". National Football Teams. Retrieved 24 April 2016. 1 2 "P. Jagielka". Soccerway. Perform Group. Retrieved 24 April 2016. ↑ "Jagielka wins Championship award". BBC Sport. 6 March 2006. Retrieved 2007-09-21. 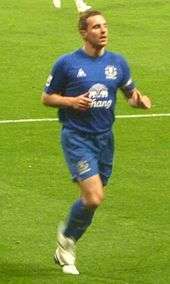 Wikimedia Commons has media related to Phil Jagielka.